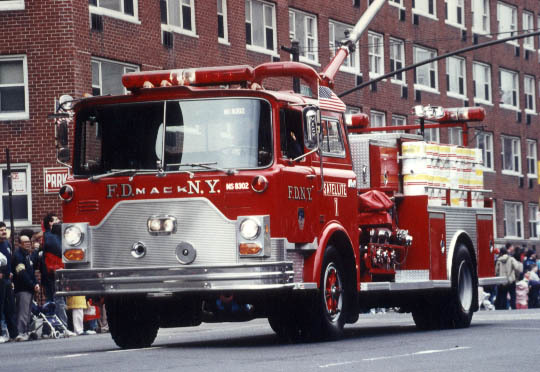 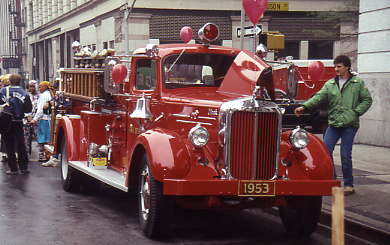 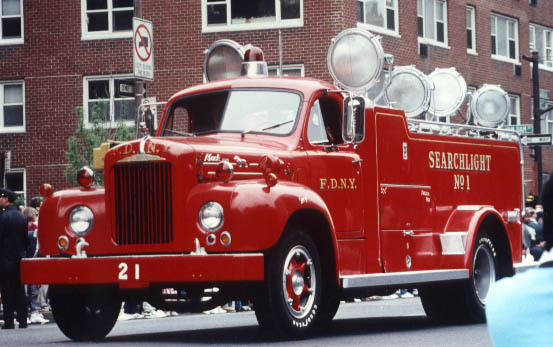 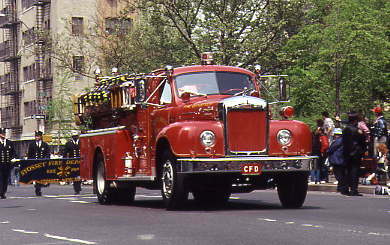 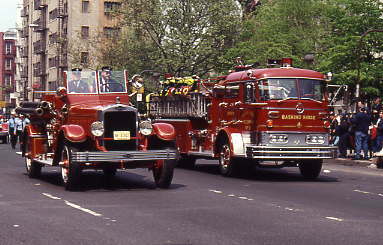 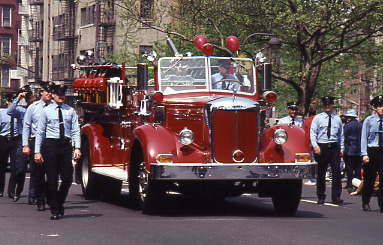 The famous FDNY Searchlight No.1 - Mack B in 125th Anniversary Parade. 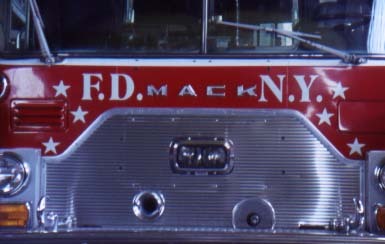 Mack CF/Baker Aerial Scope of FDNY Tower Ladder 1. 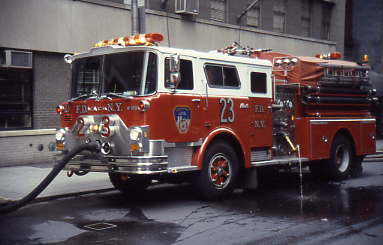 FDNY Engine 282 in Brooklyn in quarters. 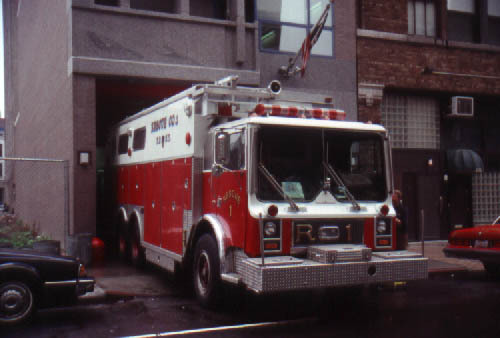 FDNY Rescue Co.1 coming out of quarters. 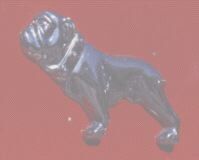 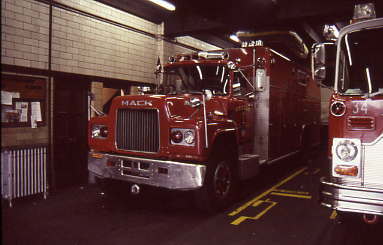 MC Mack. 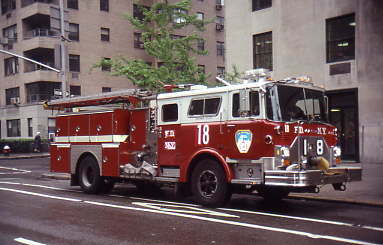 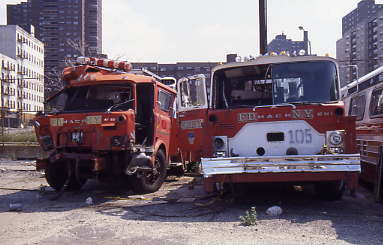 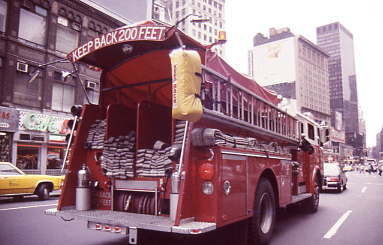 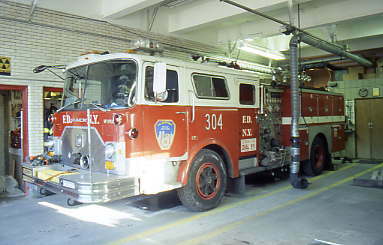 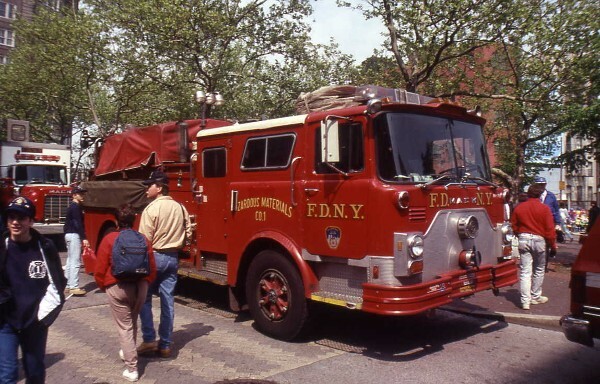 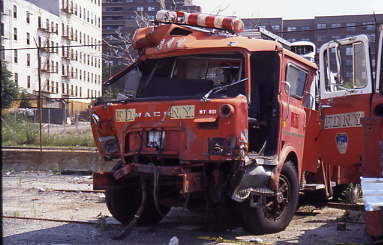 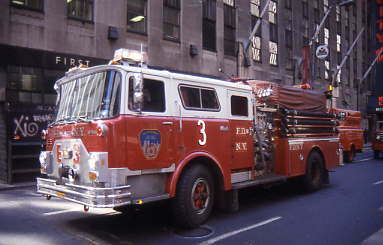 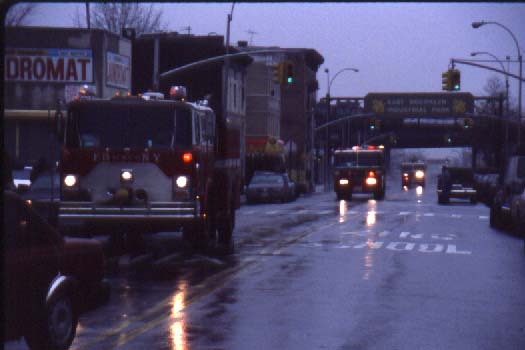 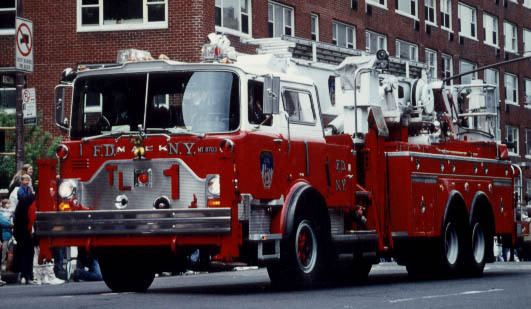 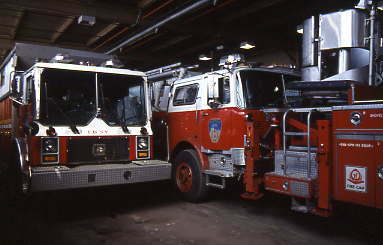 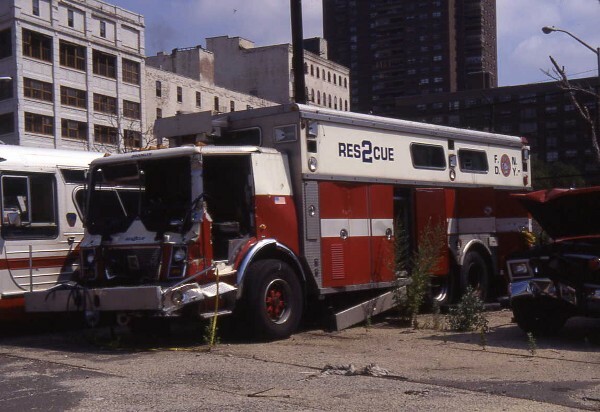 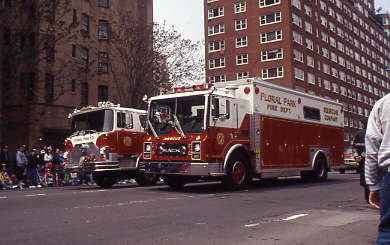 1997 photo of FDNY Res2cue in the 'bone yard' following a wreck. 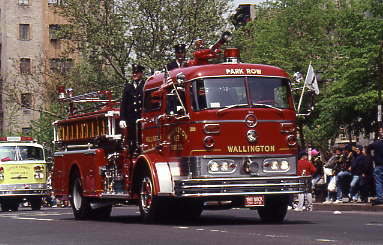 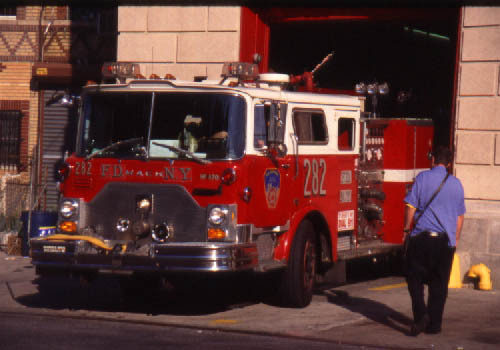 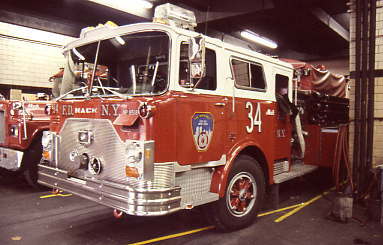 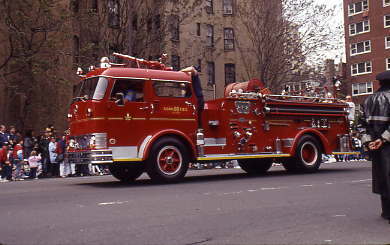 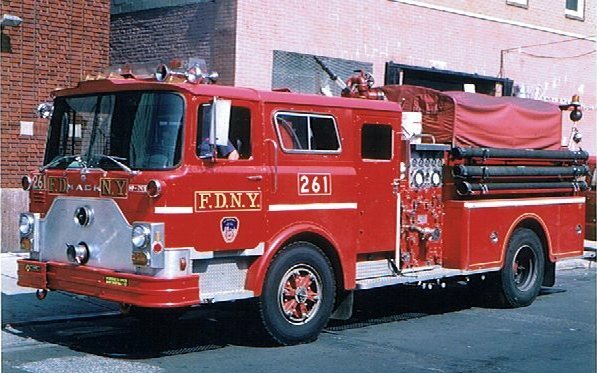 A guest photo of the 1979 Mack of Engine 261.